Hello, I am Little Fish! 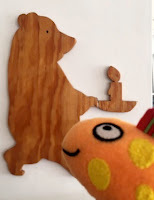 Today is a very special day for me: Walker Books has published TWO new books about me and my friends! Making books is SO much fun. It takes a long time and lots of hard work, though! I’ve made a special photo montage of all the best bits – come and have a look. 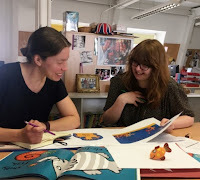 Here are the Design and Editorial team talking through the story. 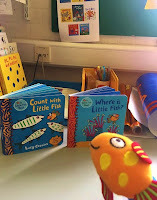 They help decide how the book will look and what it will say! Can you spot me listening in? 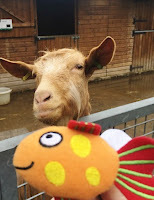 Here I am with Mummy Fish in the sparkly PR and Marketing department! 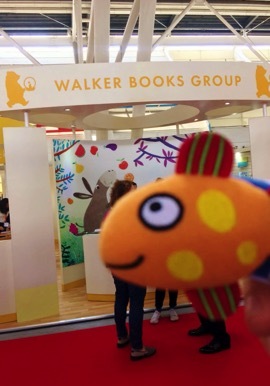 They help people hear all about the brilliant books that Walker makes. I got flown all the way to Italy for the Bologna Book Fair! 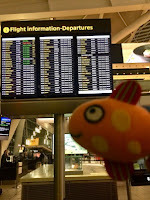 I still prefer swimming to flying, but it was so much fun. The book fair is where publishers display all the fantastic books they’re making for the next year. Wow! Look at these splish-splashing books. These are called “advance copies”. 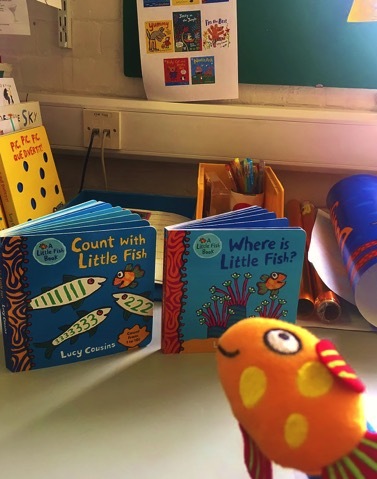 They’re copies of the new books that come into the office before they hit the shops so that everyone can read through one more time to be sure they’re absolutely perfect. You can pick up copies of my new books Where is Little Fish? 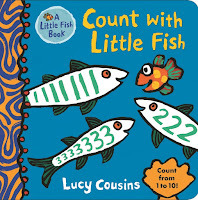 and Count with Little Fish in your local bookshop, but we also have five sets to giveaway to some lucky readers! 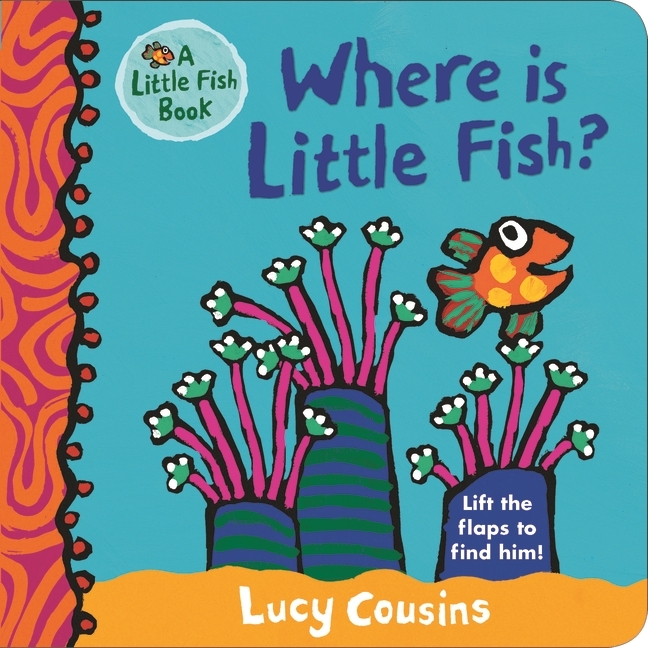 To enter, just email your name and address to competitions@walker.co.uk with ‘Little Fish' in the subject line for your chance to win. Competition closes on 7th May 2018. Terms and conditions apply. 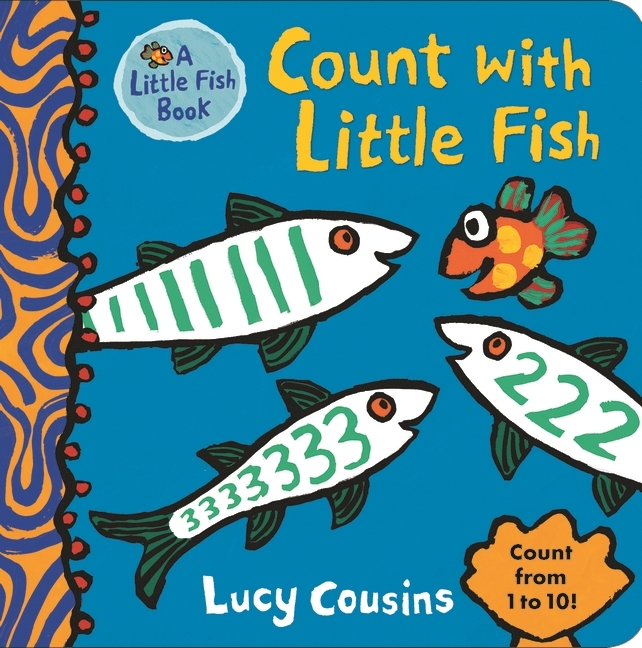 Labels: count with little fish, hooray for fish, little fish, lucy cousins, where is little fish? Top new picture books for April!